I’ve been playing two ragas in my violin classes lately. 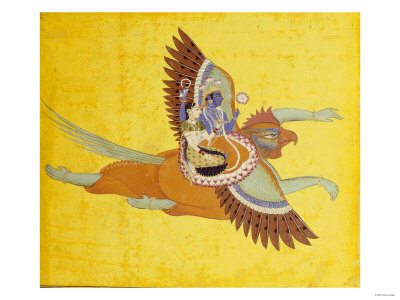 Valaji and Garudadhwani. They are both beautiful, distinctive and so nuanced. I had never heard of Garudadhwani when I started learning the piece composed by my teacher’s guru – Sri Lalgudi Jayaraman. It is a restrictive raga – it has all seven notes on the ascending scale, but only five on the descending. This means that certain patterns are created which make the raga both instantly recognisable, as well as hard to elaborate on for long. It is bright, playful, optimistic and powerful. It also has a fascinating name. I know the meaning of the Sanskrit words ‘Garuda’, the eagle carrier of Lord Vishnu and ‘dhwani’ – ‘sound’, but wasn’t sure what this meant in reference to the raga. I asked my guru why it has this name, and his answer wasn’t abstract at all – ‘It means the sound that the divine eagle, Garuda makes.’ Of course it does! I love that a raga exists, based on the sound of a divine eagle’s cry. Here’s an example of the raga – what do you hear?